The Chief Minister Chandra Babu Naidu is going to announce a huge notification with vast number of posts On the occasion of successfully completed 1500 days of his government. The notification includes APPSC Group 2 Notification,AP-DSC, Group-1,Group-2,Group-3 and Group-4 posts. The detailed updates will be announced soon on the official site https://www.psc.ap.gov.in . 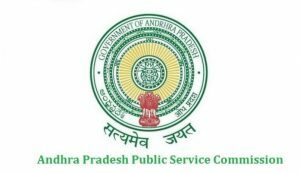 Andhra Pradesh Public Service Commission is going to recruit 337 candidates for Group 2 Posts. Applications are invited against APPSC Group 2 Notification through online mode from willing personnel. A.P. State Government Employees (Employees of APSEB, APSRTC, Corporations, Municipalities etc. are not eligible). 5 Years based on the length of regular service. Ex-serviceman and Serving persons of the Armed Forces of the Union, who are seeking re- employment one year before the completion of the specified terms of engagement covered under Rule 12(c)(i) & explanation to Rule 2(16) of AP State and Subordinate Service Rules, 1996 3 years & length of service rendered in the armed forces. After successfully completion of APPSC Group II Recruitment Exam, the commission will issue the answer key for all sets within 15 days. Applicants can download APPSC Group 2 Exam Answer Key via online mode according to paper set and cross checks the answers. The acknowledgment of the application will be sent by the organization. Take a printout of the acknowledgment and keep it safe for further usage.